I recently visited the Stonehenge landscape. I went inside the stones for the first time, walked from Stonehenge back passed the Cursus Barrows and Fargo Plantation, an exploration of the Visitor Centre and then on to to the Winterbourne Stoke barrow group. I then visited the King Barrows. 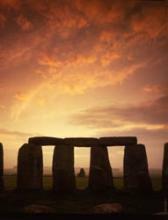 There are further walks you can take around the Stonehenge landscape: managed by the National Trust.